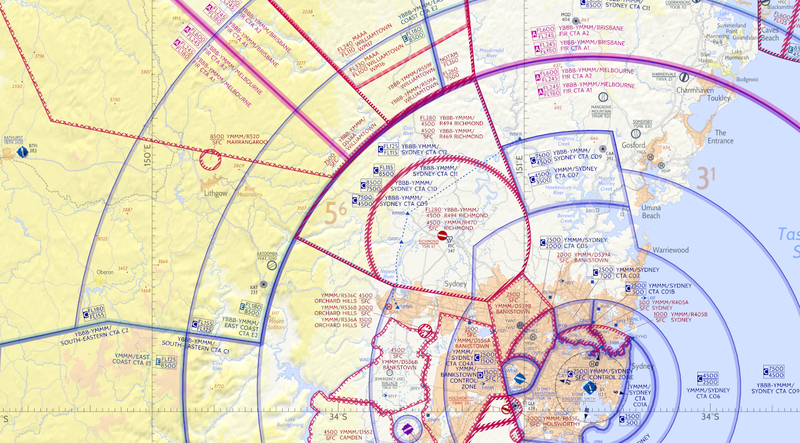 Air Navigation Pro Australian users have access to the whole country's VFR charts coverage from the 500K up to 4000K scales. The Australian VFR charts are produced by Flyermaps. This includes six georeferenced Australian VFR charts dividing the country in six regions, and one package including the whole country available for download, all accessible in Air Navigation Pro iOS and Android. Air Navigation Pro flight planning app contains an accurate and up-to-date database of Australia's aeronautical waypoints and airspaces, directly available for all Air Navigation Pro users. Visit our store at http://services.xample.ch and download the latest VFR charts of your country.